of a drawing by Kahn, an elevation, floor plan, and brief biography of Kahn. interesting background for considerations of design and function. the building is functioning for the user. changes that occurred in the Academy libraries over that time. Friends of the Academy Library. The Library at Phillips Exeter Academy. history of the Library. Illustrated with photographs and a wood engraving. James-Chakraborty, Kathleen, Rodney Armstrong, and Beth Brosnan. "Our Architect." The Exeter Bulletin Spring 2004: 24.
filmmaker Nathaniel Kahn on My Architect. 21, 1972. Exeter, NH: 1972.
at The Phillips Exeter Academy." Tingley, Marcia. 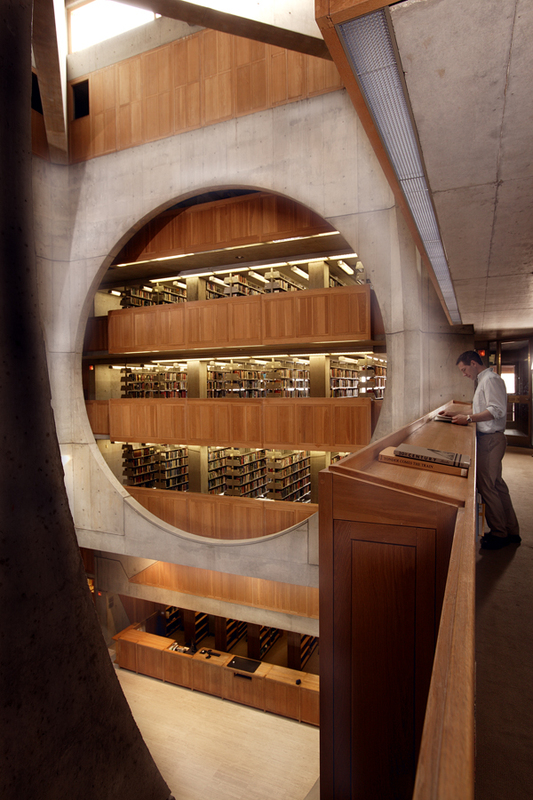 The Class of 1945 Library: Phillips Exeter Academy. Nancy Shipley; editor, Beth Brosnan] Exeter, NH: 2009.